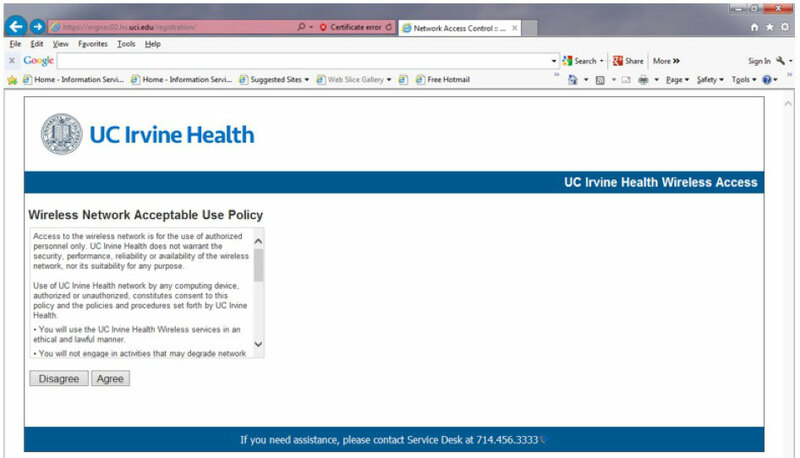 This document will help you get connected to UCI Health Guest Internet access. 3. Under Employee/Staff, select: Individuals who have a permanent account. 4. The Network Acceptable Use Policy will appear. 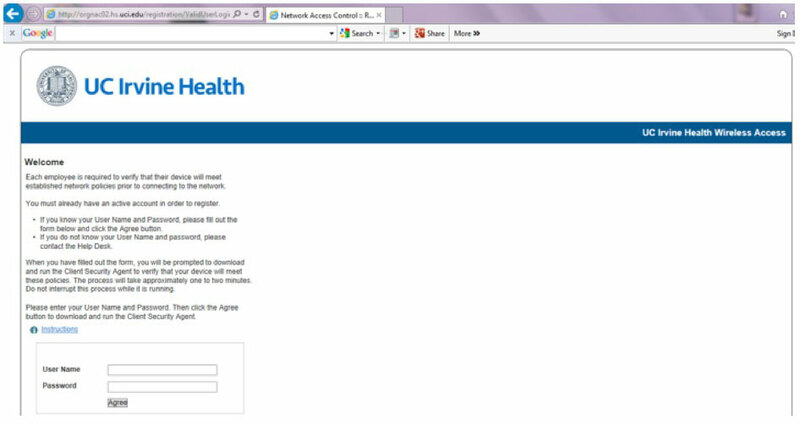 You must click on “Agree” to get access to the Wireless network. 5. At the Welcome page, enter your HS credentials and select "Agree". 6. You will be asked to install the Bradford Persistent Agent if it has not been installed already on your laptop. 7. 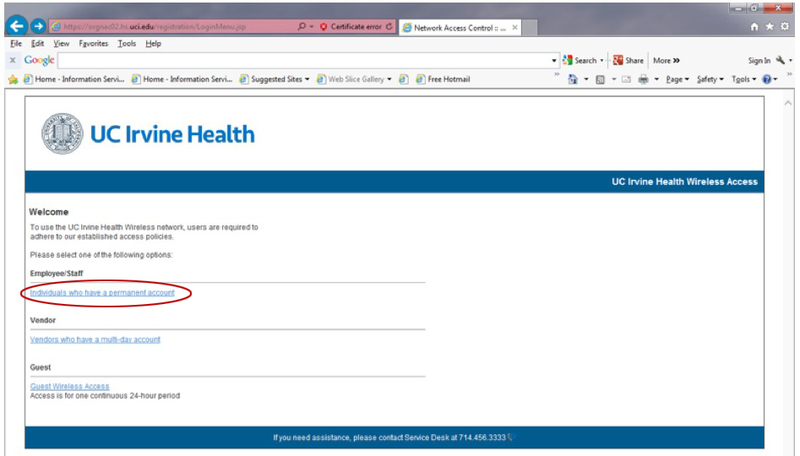 Your laptop will be moved from our Registration network to our Employee network. Please wait for this progress bar to complete. 8. You will receive this message when your network connection has moved to our Employee network. You will be prompted to close your browser. Then, reopen your browser and connect to an external website to continue.